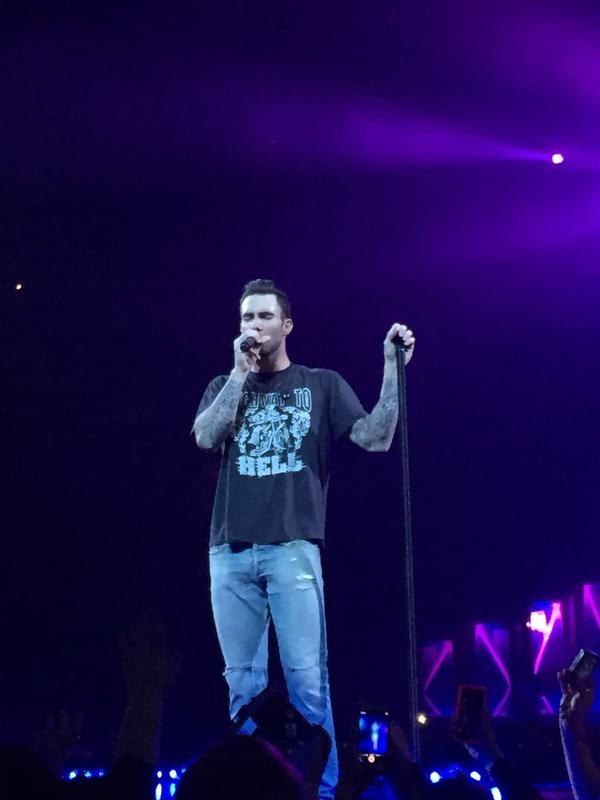 Adam Levine sure has got those “Moves Like Jagger”. 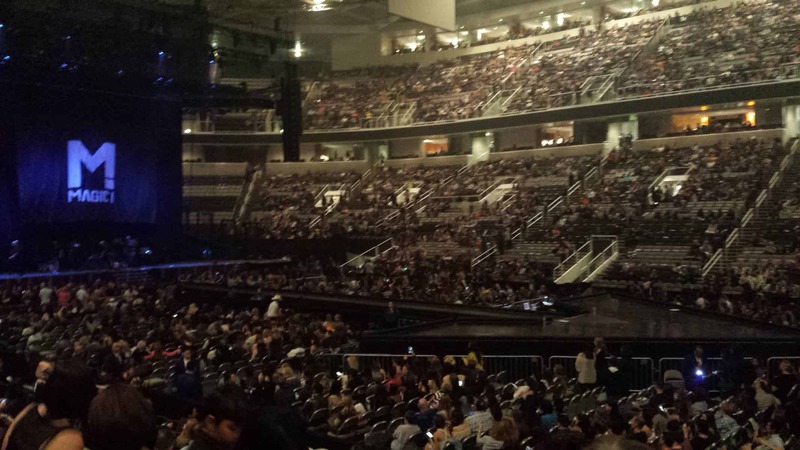 I was given the opportunity to see Maroon 5 perform at the SAP Center on March 31st. Rozzi Crane opened up the show with her powerful vocals. She was the first artist to be signed under Adam Levine’s record label ‘222 Records’. Magic! followed with their unique reggae sound. I’m sure most of you have heard their hit single “Rude”; which was their final song. 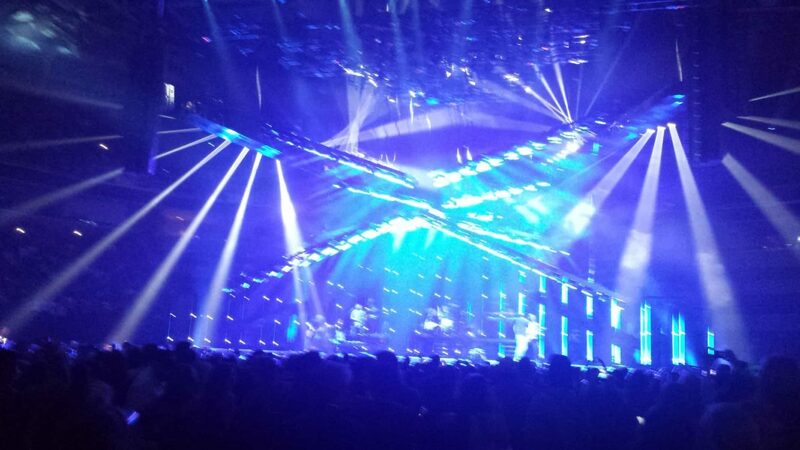 As for the main event, Maroon 5 came out with “Animals” as their opening song. 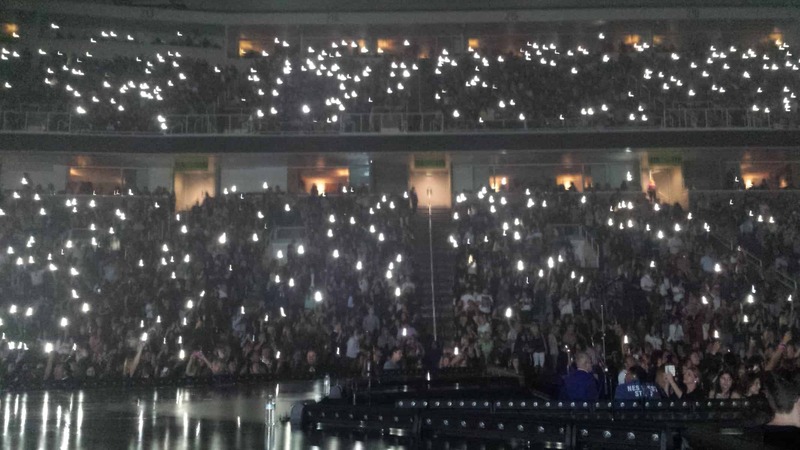 The arena was packed, as it was a completely sold out show, and the energy from the band and the crowd was at a high. For the first 5-6 songs the band never stopped playing; and I mean literally. They went from one song to the other without ever pausing. The transitions were quite impressive, however, I was disappointed at how fast the show was going. Levine then slowed things down and talked to the crowd for a short minute. They performed most of their popular hits, ‘One More Night’ ‘Maps’ ‘Sunday Morning’ ‘Misery’, etc.Levine was quite active on their massive catwalk that was in the shape of an arrow. 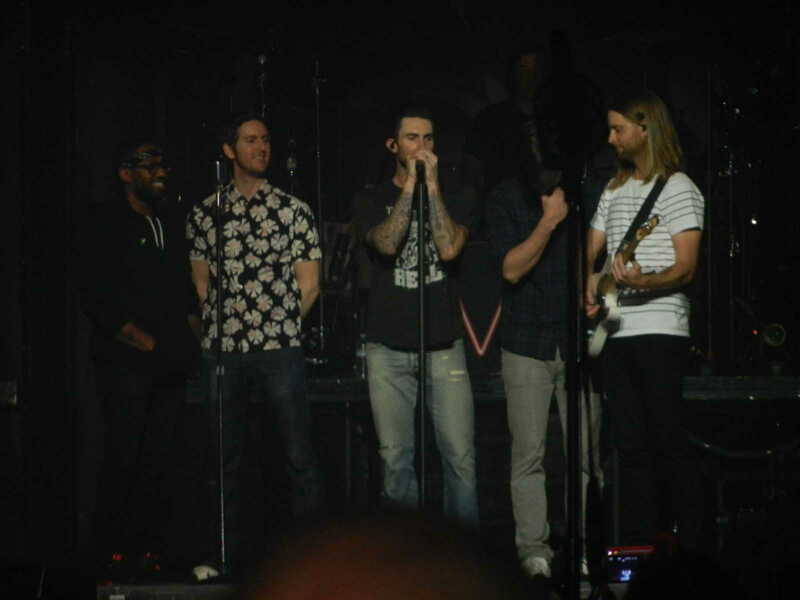 During the middle of the show, Levine brought down the rest of the band members to the front to sing an acapella version of ‘Payphone’. I will admit that I did not know who or what the other band members looked like, so it was nice they got their shining moment away from the instruments for a short time. They performed ‘Daylight’ next; which was so phenomenal live. 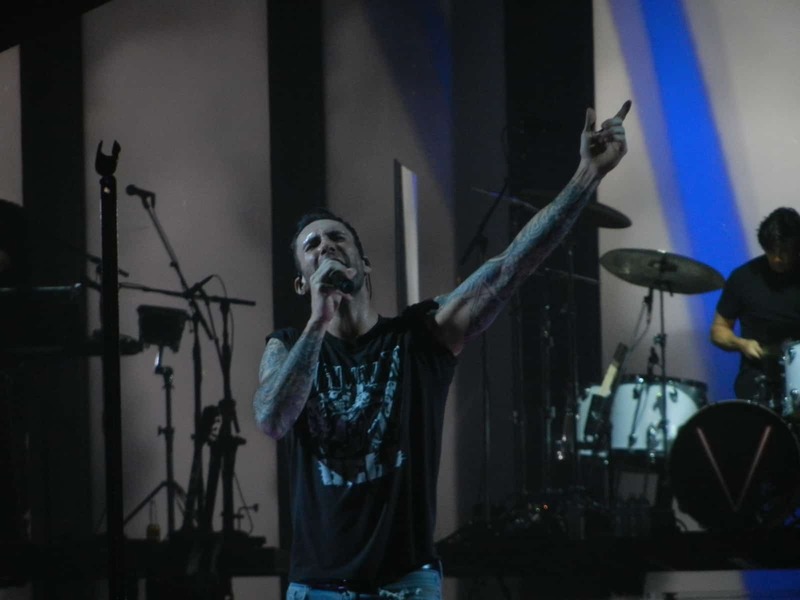 I could feel the passion coming from Levine as he belted out each lyric. Once that song was over, the band said ‘Goodnight’ and walked off stage. Being that I go to shows a lot, I knew there was going to be an encore. However, the guy next me to was in total surprise. As the band left the stage he shouted “That’s it?! I want more!” Well little did he know that they were coming right back out! He was ecstatic when Levine made his way back to the stage and walked right to the tip of the catwalk where we were sitting. The fans went insane as the band heartthrob was standing right in front of them performing ‘It Was Always You’ from the current album and old classic “She Will Be Loved”. The closing song was their current hit single, ‘Sugar’; which was definitely a crowd favorite. It’s nice to see that the audience is of all different ages. I saw people in their 50’s, 40’s, 30’s,20’s, and even under 10. It’s awesome to watch different generations supporting one band that has been around for years! I was very impressed their performance and show production. There is no doubt in my mind that Maroon 5 will continue to rise on the top 40 charts for many more years to come!